Good news for all of you who loves slot tournaments! Today Vera & John started a new slot tournament with £5000 in the prize pool. The tournament called ”Cash Royalty” is played on the new slot Moon Princess. If you haven’t tried the new game yet this is the perfect opportunity. Keep reading and we will tell you all about the Cash Royalty competition and another, smaller, tournament called Ante Up. The competition rules are simple: just log in and spin the wheels at Moon Princess to gain points to the leader board. You must do at least 25 spins to participate in the tournament and each spin must be worth at least £1. If you meet these requirements you will get one point for every £1 you wager at the game. Throughout the tournament you can check out your position at the leader board that is updated regularly. The competition lasts until the 1st August. The 50 players who earns most points during the competition get a share of the prize pool. The winner gets £500. 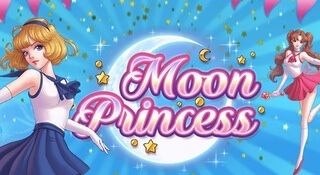 Moon Princess is a newly released slot from Play n GO. It contains a lot of exciting functions like free spins and multiplied winnings. If you find the Cash Royalty tournament interesting you should also check out the Ante Up tournament at Vera & John. It started today and is also played on princess themed slots: Koi Princess and Prissy Princess. The prize pool in the tournament is £1000 in bonus money and you have until July 31st to compete. The rules are similar to those in the Cash Royalty tournament, but in this tournament you have to play at least 10 spins worth £0,25 each to compete about the prizes.